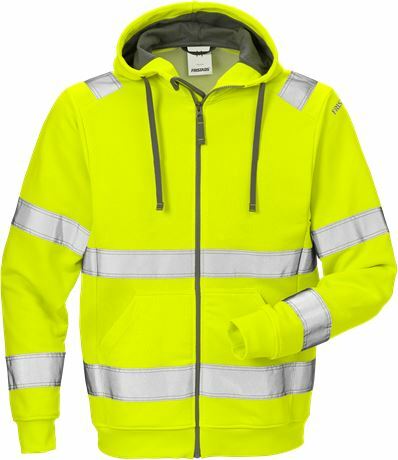 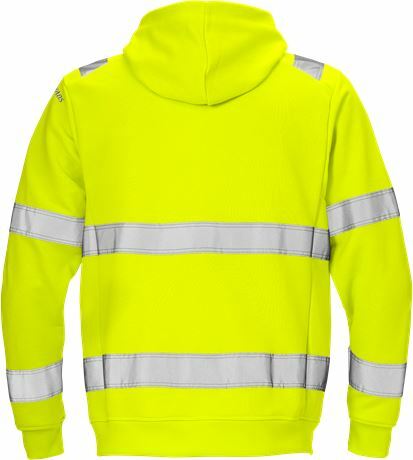 Comfortable hooded high vis sweatshirt jacket with cotton on the inside. 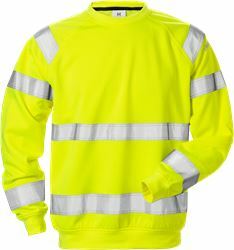 Material: 75% Polyester, 25% cotton. 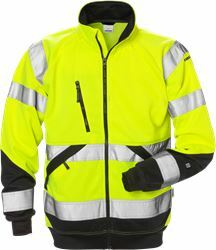 Zip to hood with zip garage / 2 front pockets / Elasticated waist and cuffs / Approved according to EN ISO 20471 class 2 – sizes XS and class 3 – S - 3XL / Leasing laundry tested according to ISO 15797 / OEKO-TEX® certified.